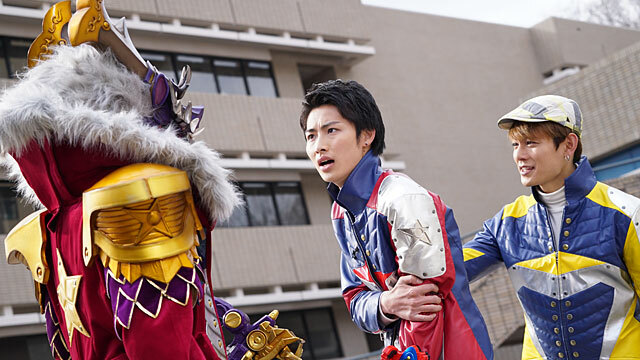 Here's the title and summary for the 11th episode of Uchuu Sentai Kyuranger. And yes, as the previews for this episode shows us, Lucky's unbelievable luck will turn bad for the first time. "The commander gives an order to find three new Kyutama in which it will be used to power the Argo and defeat the Jark Matter Organization where one of these Kyutama is located on earth. While on a mission to retrieve the said orb, Lucky's day didn't start well as his incredible luck suddenly turns into bad luck and his ranking as the #1 luckiest man in the universe drops to #88!" There you have it. This Sunday, we will witness how Lucky can bring back his #1 rank as the luckiest man in the universe and witness the debut of an all new Voyager formation! Can we not have his luck return and he remain like this forever? ^Actually that is part his character. I am fine with his Devil's Luck. What annoys me is his catchphrase and how he gets most of the spotlight in the first 10 episodes. We'll probably hear some variation of it using "unlucky".